Where does Morro Bay’s George Leage live? Morro Bay Councilman George Leage does not have a legal residence in Morro Bay; instead he sleeps in an apartment in his family’s sushi restaurant, Off the Hook. 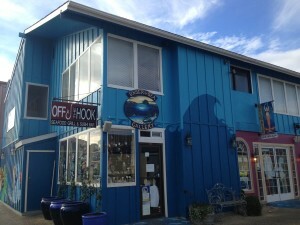 Off the Hook is located in Morro Bay tidelands, an area of which the city acquired ownership through a state grant. The tidelands grant prohibits residential use of the area and requires businesses to support public access or public trust uses. “Residential use of these public lands is specifically prohibited,” the Morro Bay Harbor Department Lease Management Policy states. The city leases tidelands to individuals and businesses, like Leage and Off the Hook. Several years ago, Leage put the restaurant lease in his sister’s name, though he continues to manage the business. About a year ago, Leage says he began living in a caretaker unit in the restaurant. The California State Lands Commission monitors compliance with state land grants. State Lands spokesperson Sheri Pemberton said living on state-granted tidelands is not a proper use of the land. In March, Leage attended a city study session on the harbor tideland lease site rules and regulations. During the meeting, former city attorney Rob Shultz told the audience that residential use is not permitted on Public Trust lands. Leage said he did not remember that portion of the presentation and that Schultz did not know where he was residing. Leage also said he would move if state or city officials ask him to. 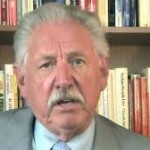 “If they state to me it is not residential, I will get out of there,” Leage said. So this story broke over a month ago…. has he moved out yet? Whatever happened to this?!?! Please don’t tell me this was simply brushed under the rug and forgotten (or ignored like most wrong-doings in MB).